These mini cupcakes were the result of my passionate love affair with Oreo cookies and for baking delicious cakes from scratch. Having thought about them for months on end, a summer family camping trip was finally the perfect excuse to indulge! These not only have Oreos blended into the frosting, they also imitate the cookie with a rich chocolate cake recipe that has my version of the original Oreo white cream filling piped inside. As if that wasn’t enough to satisfy my cookie craving, these little guys just weren’t complete without a mini Oreo cookie on top. They are one very large bite of Oreo cookie bliss! The cake recipe is a dense rich Chocolate Fudge Cake recipe from Toba Garrett’s book “The Well Decorated Cake”. It is by far my favorite recipe, and people are always asking where I got it. The cake formed beautiful domes in the oven and cooled with depressions in the middle. This ended up being the PERFECT shape for piping some white Oreo filling before applying the frosting and cookie topper. 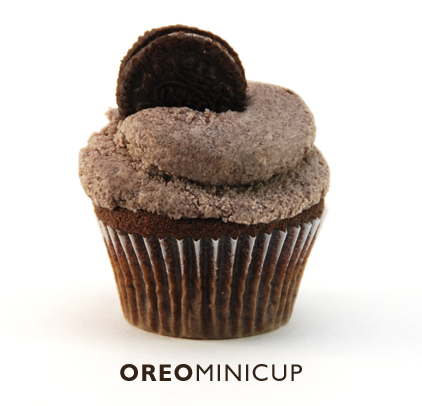 This what the cupcakes looked like with their little depressions piped with the Oreo filling. This extra surprise in the middle was a big hit with everyone who tasted the cupcakes. 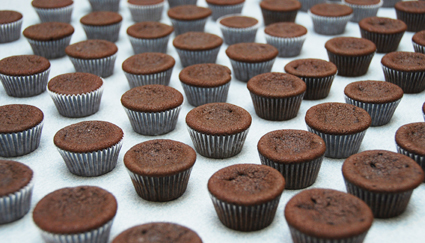 If you are using another chocolate cake recipe, you might need to inject the filling into your cupcake using a medium round tip and a piping bag. Whip the butter and shortening until fluffy. Mix in the vanilla and powdered sugar until a thick creamy consistency is achieved. Cream the butter and shortening until light and fluffy. 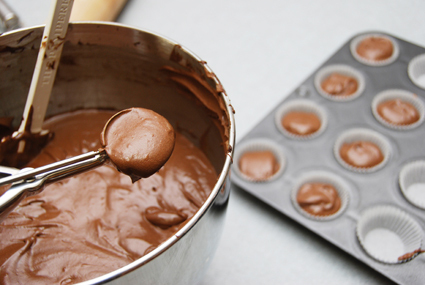 Starting on low speed, mix in the powdered sugar until the mixture becomes thick and smooth. Slowly add the whipping cream and turn mixer to high speed for 1-2 minutes until frosting becomes light and fluffy. Add the ground Oreo cookies until just evenly mixed in. The cupcakes I photographed had much more Oreo cookie in the frosting, and it made the consistency a little too thick and crumbly. 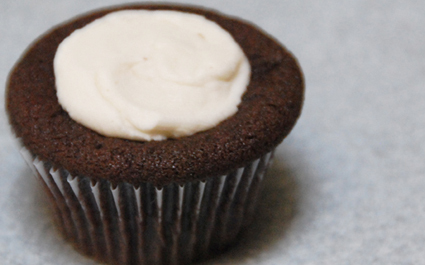 I adjusted the recipe above to result in a more creamy Oreo-flavored frosting. You can add more or less depending on your own preferences.